The ability to switch from vegetative phases to flowering automatically without requiring any adjustment to the amount of light the plant is exposed to is the quality that makes the best autoflowering seeds so popular nowadays. Indica and Sativa are still the two main types of cannabis used in the composition of the most popular strains, but the demand for plants that are not photoperiod-dependent has brought a third type into the picture: Ruderalis, the component that makes strains more resilient, helps maintain high yields and great quality while also reducing the plant’s dependence on light cycles. The idea of adding the best qualities of Ruderalis plants to Indica-Sativa hybrids has its origins in Northern Europe and the Northern parts of Russia, where Ruderalis proved to be able not only to survive, but also to thrive under the temperature and light conditions characteristic to colder climates. For a long time, Ruderalis was considered to be an inferior type of cannabis, characterized by low yield and low THC content, but advanced breeding techniques have eliminated weaknesses and kept the strong points. The strains that use Ruderalis genetics are relatively young – autoflowering strains emerged during the second half of the 1990’s, but they have become very popular by now. Autoflowering seeds are nowadays widely available and they have convinced numerous breeders that the qualities that Ruderalis adds to these strains are numerous and valuable. The yield provided by the best autoflowering seeds is usually as high as the yields provided by Indica-Sativa hybrids. The best autoflowering seeds are high-yielding and resistant to environmental and thermic stress, and they can also be trusted to produce high-quality nugs – with these plants, you will surely get the quantity and the quality that you expect. Sour Diesel seeds are popular for their effects as well as for the large, high-yielding plants the seeds grow into. Distinguished by the lime smell and by an aftertaste reminding of diesel fuel – hence the name – the smoke of Sour Diesel will make you sociable, being the preferred choice of not only those who are looking forward to a relaxed evening spent with friends, but also for those who need the variety’s great medicinal qualities such as its effects in ameliorating anxiety, depression, nausea and chronic pain. This plant is not very easy to breed – there are many different methods used for indoors cultivation, the chosen technique having a direct influence on the quality, the appearance as well as on the produce, while outdoors breeding is recommended only in warm areas, with climate conditions similar to California or Spain. The story of one of the most popular Sativa-dominant varieties (Sour Diesel is around 70% Sativa and only around 30% Indica) started in the 1990’s, in New York, and then the strain quickly migrated to the West Coast from where it began its rise to legend status. Though precise information about the origins of Sour Diesel seeds is scarce, according to one of the theories, Sour Diesel came to be as the result of the unintentional crossing between an Original Diesel and a Northern Lights-Shiva – an accident that resulted in what is known today as one of the most influential and most sought-after strains. When kept well, under optimal conditions that allow the plant to achieve its true potential, the bush grows to over 5 feet in height and it develops large, resinous buds. The flowering period lasts for around 10 weeks, allowing breeders plenty of time to harvest the beautiful fruits of their efforts. The taste, the smell and the effects of Sour Diesel are just as impressive as the looks of the plant. Robust in flavor and appearance, Sour Diesel will make you everything but sour. Just like the taste, the high is strong, generating instant feelings of happiness and the wish to talk and to socialize. Sour Diesel seeds grow into plants that are potent in every way – the exceptional appearance of the bush is in harmony with the excellent yield, so taking the time to find the most adequate growing technique will bring impressive rewards. 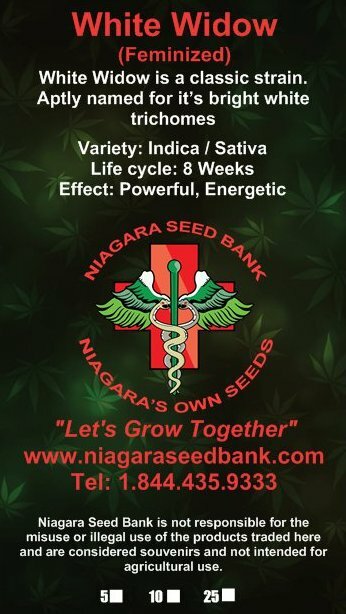 Known for their ability to grow into plants that produce very potent nugs, OG Kush seeds are preferred for the excellent results both in terms of quality and when it comes to quantity. The OG is one of the eight purest varieties of Kush and also a hybrid consisting of 5% Sativa and in 95% Indica. The colorful appearance, the fluffiness provided by the Sativa in its genes, and the flavorful resin make the OG a long-time favorite of many. The origins of OG Kush seeds are wrapped in mystery and there are various explanations for the OG particle in the name as well – many believe this Indica-dominant strain comes from California, where it was developed from various Kush strains, Lemon Thai and others. According to one theory about the name, OG is the acronym for “Ocean Grown”, also referring to the origins of the strain. OG has enjoyed great popularity ever since its development was complete, its potency and its exotic, piney-lemony flavor being its best features. OG Kush plants look great, taste great, feel great and are great to breed too. Here are all these qualities in a bit more detail. OG buds are of a beautiful, deep green, with large THC crystals visible on the surface. The plant exudes a strong smell in any growth phase – smell that only becomes more intense with the harvested bud. The high is powerful in an energizing way, making OG perfect as a refreshment savored during the day. OG has been also successfully used to ameliorate a number of physical issues, including anorexia, fatigue, depression, glaucoma and nausea. It is suitable for being grown indoors just as much as for outdoor breeding. All you need to get your OG Kush seeds to germinate is soil of the suitable composition and large containers to give your plants space – the bush will grow beautifully and will soon give you a good harvest of this legendary weed.